Dental Implants have changed the face of dentistry over the last 25 years. 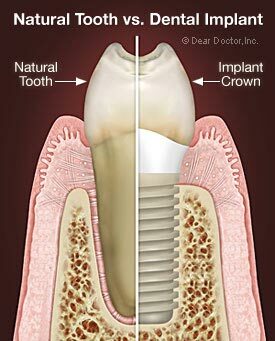 What are dental implants? What is the history of dental implants? And how are they used to replace missing teeth? This section will give you an overview of the topic of dental implants, to be followed by more detail in additional sections. For good measure, there is also an easy to read FAQ section containing the most common questions and concerns regarding dental implants. Please note that the information contained within this website is provided for informational and educational purposes only. All information provided in the website is believed to be accurate and reliable; however the ICOI assumes no responsibility for the use of this information. The use of this website does not imply nor establish any type of doctor/patient relationship. No diagnosis or treatment is being provided by the use of this website. This website takes no responsibility with regards to misinterpretation of the information provided within this website or any consequences resulting from the use of this website. 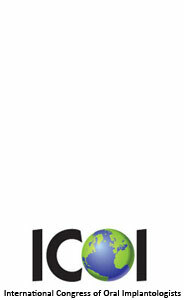 The ICOI web site(s) may link to web sites maintained by other entities. Reasonable precautions are taken to link only to web sites which are appropriate, accurate and maintained by reputable companies. However, those web pages are not under our control and ICOI is not responsible for the information or opinions expressed in those linked sites. ICOI does not imply any relationships or endorsements to any linked website. The information and recommendations on this site are intended simply to provide information and guidance. This website may not be relied upon as authority for compliance with dental, medical or legal requirements, or as a source of dental, medical or legal advice. The ICOI does not warrant nor endorse any member listed herein, nor does it vouch for their professional competency, regardless of their status within the organization. We do not accept responsibility for the treatment they provide. The ICOI does not guarantee the accuracy of the information found herein nor does it accept responsibility for errors or omission on this site. We are not liable to the users of this information or anyone else for any decisions made or actions taken in reliance upon ICOI's member listing on the web. Illegal or unauthorized use of material on this website will be prosecuted to the fullest extent of the law.